London: Adam & Charles Black, 1910. Hardcover, no DJ. Fifth Printing. With corrections of Third & Fourth Printings and a New Preface. 8vo. Blue cloth. 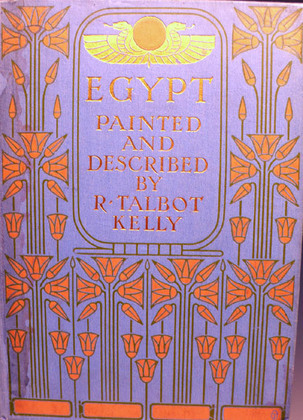 With ornate decoration of double Uraeus with sun disk and papyrus in gilt and orange on front cover and spine. Gilt titles, top edge gilt. 75 color plates with captioned tissue guards. 246 pp. All items are guaranteed authentic as described.